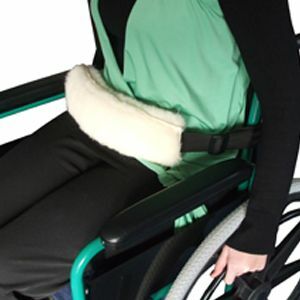 Buckle Fastening Lap Belt For Wheelchairs And Scooters. Not to be used in place of car seat belts. Fleece cover for extra comfort available. Existing wheelchair seat belt failed after about 2weeks of use. Easier to replace with this item at this price. Exactly what I needed. Excellent service, very quick delivery, and item - a seat belt - just perfect. Will definetly keep you in mind for further needs. 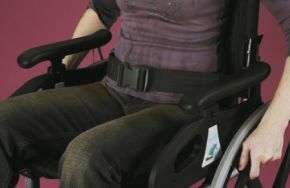 This was amazing, the user found to comfortable and the use pusher found it easy to use. It was purchased to use for a fishing holiday and endured bumpy grass and terrain with ease. Its lightweight frame made it easy to load in the car and also for the user to push along too. Exactly what we needed for our daughter's wheelchair.